Sydney Leroux and Sam Kerr both bagged braces, but it was the Orlando Pride who emerged victorious over the Chicago Red Stars on Saturday afternoon with a 5-2 win at Toyota Park in Bridgeview, Illinois, in front of 5,047 fans. Leroux’s two goals came in a span of two minutes in the second half, only minutes after she entered the match as a substitute. The Pride bounced back from a 4-3 midweek loss to the first-place Courage and are now 4-3-3 (15 points). The Red stars dropped to 2-3-6 (12 points). The Pride started quickly, scoring in just the second minute. Poliana found Rachel Hill in the box for Hill’s third goal of the season. Four minutes later, the Pride were up 2-0 when Marta served a ball into Alex Morgan for a header goal. Marta now has three assists on the season, pulling her into a six-player tie for the league-lead. Kerr answered in the 21st minute. After initially being denied by Pride goalkeeper Ashlyn Harris, Kerr got another chance and headed it home for her third goal of the season. The teams took a short break from scoring goals before things got really interesting in the 60th minute. Yuki Nagasato, who assisted on Kerr’s first, found Kerr again to tie it 2-2. But then it was the Leroux show. After entering in the 52nd minute to replace Marta, Leroux scored on a diving header on a cross from Ali Krieger in the 61st minute. Leroux got her brace just two minutes later. Morgan served a pass into the center of the box that deflected off Red Stars defender Katie Naughton and to Leroux, who spun and slammed home a right-footed shot to put the Pride up 4-2. The goals are Leroux’s first two in a Pride uniform after joining the team in an offseason trade. She missed Wednesday’s game and was listed as questionable for this match with an illness, but played the final 39 minutes. Dani Weatherholt finished off the scoring in the 83rd minute on an assist from Morgan. Kerr had two good chances for another goal in the match, but Harris stopped her both times. First, Harris made a save with her knee as Kerr tried to slip it between her legs in the second half. And then in the 79th minute, she pulled down the ball as Kerr tried to chip it over her head. The Red Stare are now winless in their last seven, going 0-2-5 over that span. They last won on April 18, 3-0 over the Dash. The Pride are next in action on Sunday, June 3, on the road vs. Seattle Reign FC. The Red Stars will head on the road to take on the Washington Spirit on Saturday, June 2, in the NWSL Game of the Week on Lifetime. Match ends, Chicago Red Stars 2, Orlando Pride 5. Second Half ends, Chicago Red Stars 2, Orlando Pride 5. Offside, Orlando Pride. Alex Morgan tries a through ball, but Emily van Egmond is caught offside. Attempt blocked. Samantha Kerr (Chicago Red Stars) right footed shot from the right side of the box is blocked. Attempt missed. Sarah Gorden (Chicago Red Stars) right footed shot from the centre of the box is just a bit too high. Offside, Orlando Pride. Christine Nairn tries a through ball, but Sydney Leroux is caught offside. Goal! Chicago Red Stars 2, Orlando Pride 5. Dani Weatherholt (Orlando Pride) right footed shot from the centre of the box to the bottom left corner. Assisted by Alex Morgan. Shelina Zadorsky (Orlando Pride) wins a free kick in the defensive half. Attempt missed. Alanna Kennedy (Orlando Pride) header from the centre of the box is close, but misses to the left. Assisted by Christine Nairn with a cross following a corner. Corner, Orlando Pride. Conceded by Sarah Gorden. Attempt saved. Samantha Kerr (Chicago Red Stars) right footed shot from outside the box is saved in the top centre of the goal. Attempt missed. Poliana (Orlando Pride) right footed shot from long range on the right is high and wide to the right. Assisted by Dani Weatherholt. Attempt missed. Julie Ertz (Chicago Red Stars) header from the centre of the box misses to the right. Assisted by Arin Gilliland with a cross. Attempt blocked. Alyssa Mautz (Chicago Red Stars) left footed shot from the right side of the box is blocked. Assisted by Sarah Gorden. Foul by Emily van Egmond (Orlando Pride). Sarah Gorden (Chicago Red Stars) wins a free kick on the right wing. Substitution, Orlando Pride. Carson Pickett replaces Ali Krieger. Attempt saved. Rosie White (Chicago Red Stars) left footed shot from the right side of the box is saved in the centre of the goal. Assisted by Sarah Gorden. Delay in match Ali Krieger (Orlando Pride) because of an injury. Substitution, Orlando Pride. Christine Nairn replaces Rachel Hill. Substitution, Chicago Red Stars. Rosie White replaces Sofia Huerta. Goal! Chicago Red Stars 2, Orlando Pride 4. Sydney Leroux (Orlando Pride) right footed shot from the centre of the box to the top right corner. Goal! Chicago Red Stars 2, Orlando Pride 3. Sydney Leroux (Orlando Pride) header from the centre of the box to the bottom left corner. Assisted by Ali Krieger with a cross. Hand ball by Samantha Johnson (Chicago Red Stars). Goal! Chicago Red Stars 2, Orlando Pride 2. Samantha Kerr (Chicago Red Stars) right footed shot from the left side of the box to the bottom right corner. Assisted by Yuki Nagasato with a through ball. Sydney Leroux (Orlando Pride) wins a free kick in the defensive half. Substitution, Orlando Pride. Sydney Leroux replaces Marta. Corner, Orlando Pride. Conceded by Alyssa Mautz. Attempt missed. Marta (Orlando Pride) left footed shot from outside the box is too high from a direct free kick. Rachel Hill (Orlando Pride) wins a free kick in the attacking half. Attempt saved. Samantha Kerr (Chicago Red Stars) right footed shot from the left side of the six yard box is saved in the bottom left corner. Assisted by Yuki Nagasato with a through ball. Substitution, Chicago Red Stars. Sarah Gorden replaces Danielle Colaprico. Substitution, Chicago Red Stars. Alyssa Mautz replaces Michele Vasconcelos. Second Half begins Chicago Red Stars 1, Orlando Pride 2. First Half ends, Chicago Red Stars 1, Orlando Pride 2. Offside, Orlando Pride. Poliana tries a through ball, but Emily van Egmond is caught offside. Attempt missed. Sofia Huerta (Chicago Red Stars) right footed shot from outside the box is high and wide to the right. Assisted by Yuki Nagasato. Samantha Johnson (Chicago Red Stars) is shown the yellow card for a bad foul. Marta (Orlando Pride) wins a free kick in the defensive half. Corner, Chicago Red Stars. Conceded by Poliana. Alanna Kennedy (Orlando Pride) wins a free kick in the defensive half. Attempt saved. Alex Morgan (Orlando Pride) header from the centre of the box is saved in the bottom left corner. Assisted by Dani Weatherholt with a cross. Corner, Orlando Pride. Conceded by Julie Ertz. Attempt blocked. Alanna Kennedy (Orlando Pride) header from the centre of the box is blocked. Assisted by Marta with a cross. Corner, Orlando Pride. Conceded by Katie Naughton. Attempt blocked. Alanna Kennedy (Orlando Pride) left footed shot from outside the box is blocked. Offside, Orlando Pride. Alex Morgan tries a through ball, but Rachel Hill is caught offside. Attempt missed. Arin Gilliland (Chicago Red Stars) header from the left side of the six yard box is just a bit too high. Assisted by Danielle Colaprico with a cross following a corner. Attempt saved. Samantha Kerr (Chicago Red Stars) left footed shot from a difficult angle on the left is saved in the bottom left corner. Assisted by Arin Gilliland. Emily van Egmond (Orlando Pride) wins a free kick in the defensive half. Hand ball by Ali Krieger (Orlando Pride). Goal! Chicago Red Stars 1, Orlando Pride 2. Samantha Kerr (Chicago Red Stars) header from the centre of the box to the bottom right corner. Assisted by Yuki Nagasato with a cross. Attempt saved. Samantha Kerr (Chicago Red Stars) right footed shot from the centre of the box is saved in the centre of the goal. 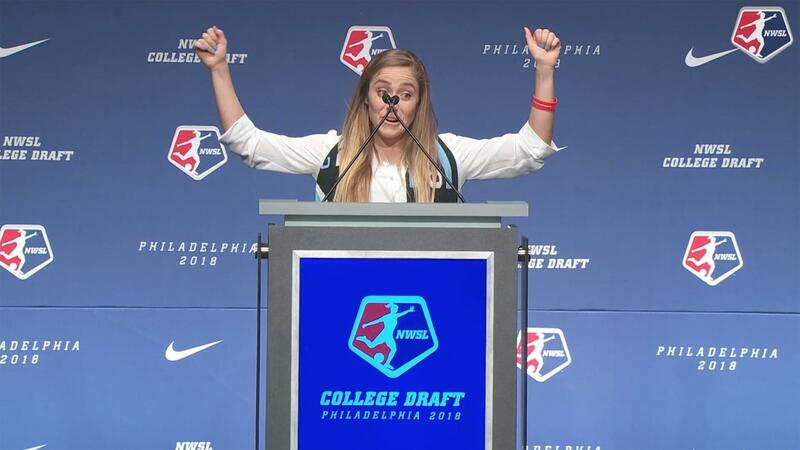 Assisted by Julie Ertz with a through ball. Offside, Orlando Pride. 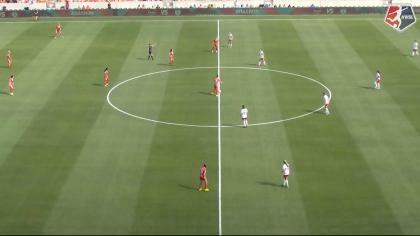 Ali Krieger tries a through ball, but Alex Morgan is caught offside. Goal! Chicago Red Stars 0, Orlando Pride 2. Alex Morgan (Orlando Pride) header from the centre of the box to the bottom left corner. Assisted by Marta with a cross. Goal! Chicago Red Stars 0, Orlando Pride 1. Rachel Hill (Orlando Pride) right footed shot from the centre of the box to the bottom right corner.